1 Bedroom Flat For Sale in Lowton for £84,950. This property's price has dropped from £109,950 to £84,950. THE CHINLEY - Luxurious one-bedroom apartment. The Chinley is an ideal choice for the first-time buyer or young professional wishing to get on the property ladder. Constructed to the highest specification, this property has been built with practicality at its heart. The Chinley includes a large lounge/dining area with adjoining kitchen, good sized master bedroom and a three-piece bathroom. Heathfields is a fantastic established development of 3, 4 and 5 bedroom freehold family homes and 1 and 2 bedroom apartments, all built to a high specification, set in a popular residential area of Lowton, a delightful village lying around two miles from Leigh, seven miles south of Wigan and 11 miles west of Manchester city centre. 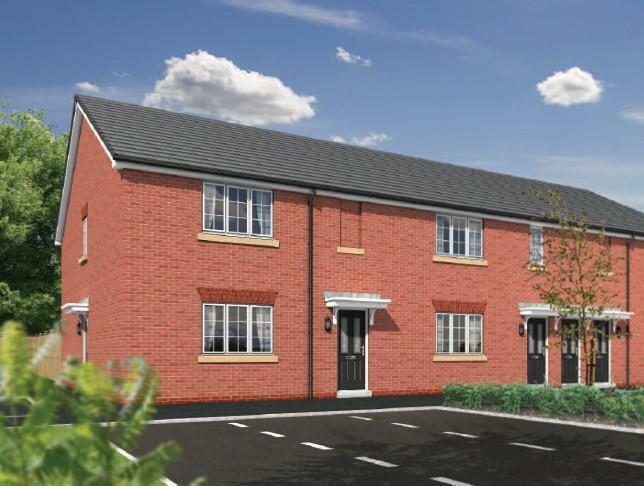 This exceptional development is perfectly positioned within easy reach of the many amenities and facilities of Lowton. Located just 2 miles away, Leigh town centre boasts popular daily outdoor and indoor markets plus a wide variety of multiple and independent retailers. The recently renovated Spinning Gate Shopping Centre offers a family friendly atmosphere with a variety of well known high street names. Situated off the A580 East Lancashire Road, the village has direct access to the cities of Manchester to the east and Liverpool to the west, with the motorway network just a short distance away. The nearest railway station is Newton-le-Willows on the Chester to Manchester Line and Liverpool to Manchester Line. Public transport in Lowton is served by buses to Manchester, Wigan, Leigh and Newton-le-Willows. Please note that all sales particulars and images are for marketing and illustrative purposes only. Advertising images may include upgrades as home specifications can vary.